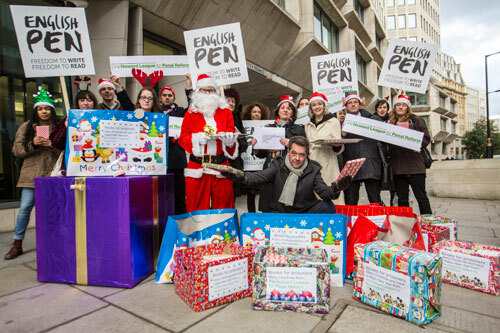 In November 2013 the Ministry of Justice introduced a blanket ban on loved ones sending books to prisoners, as part of a crackdown on ‘perks and privileges’. The Howard League received complaints, not just from prisoners and their families but the wider world, that this was unfair. However, ministers refused to meet with the charity. Instead the government published an open letter to the Poet Laureate outlining its reasons for refusing books to prisoners. The charity solidified the campaign by creating the hashtag #booksforprisoners and encouraging people to take #shelfies – pictures of their own bookshelves. This mobilised authors and celebrities, and encouraged supporters to send books to the Ministry of Justice. Supporters photobombed oral evidence from the Justice Secretary to the Justice Seelect Committee with copies of Dostoyevsky’s Crime and Punishment. A prisoner eventually took her case to the High Court, supported by the Howard League, legal team, and the judge found in her favour. The prison rules were then changed. The campaign resulted in 84,000 prisoners being able to receive books from loved ones. It also grew the charity’s membership by 38 per cent and its Twitter following by 50 per cent. Awards judge Richard Hawkes, chief executive of Scope, said the project had “every aspect you could want from a campaign”. “They identified an issue, approached it in lots of innovative ways and were really successful,” he said.